What you may see remains foreign to me. But is the blue the same for me and you? For it may not be understood by another. You hear what I hear. Stepping into the Canvas with yet a deeper understanding. 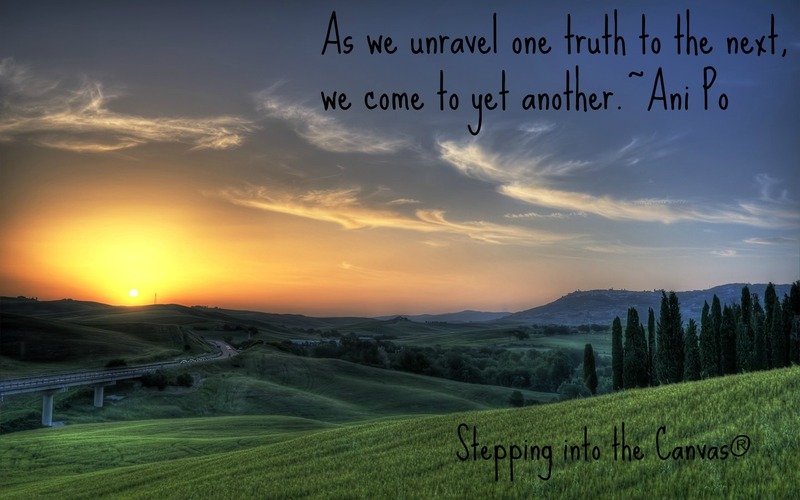 As we unravel one truth to the next, we come to yet another. Knowing very little, once knowing everything, our reality is dissolved in a single stroke of the Masters’ brush upon the Canvas of Life.